Grand Theft Auto V is an open world, action-adventure video game developed by Rockstar North and published by Rockstar Games. It was released on 17 September 2013 for the PlayStation 3 and Xbox 360 consoles. It is the fifteenth title in the Grand Theft Auto series, and the first main entry since Grand Theft Auto IV was released in 2008. 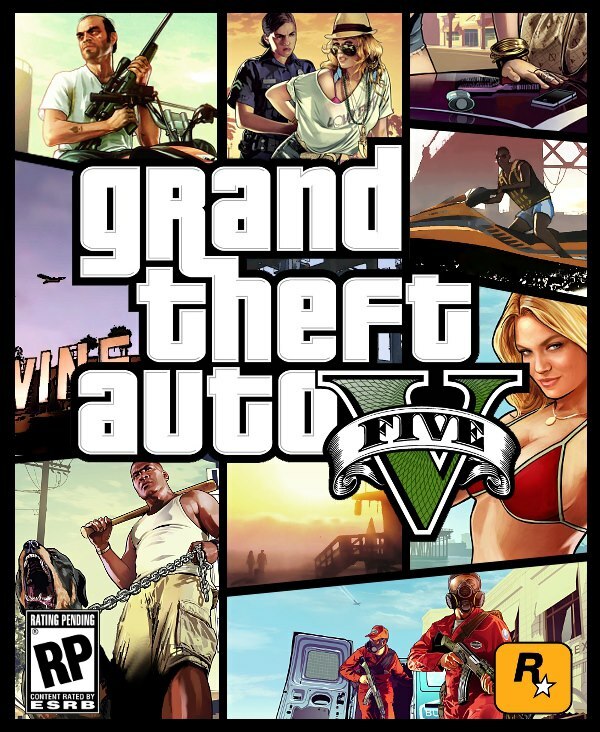 As one of the last titles to release exclusively during the seventh generation of video game consoles, Grand Theft Auto V was highly anticipated preceding its release. Grand Theft Auto V is played in third-person and combines driving and action gameplay in an open world environment, allowing the player to interact with the game world at their leisure. The game is set within the fictional state of San Andreas, which is based on Southern California, affording the player free roam over the world's countryside and the fictional city of Los Santos, which is based on Los Angeles. The single-player story is told through three player-controlled protagonists whom the player switches between—Michael, Trevor and Franklin—and the story follows their efforts to plan and execute six large heists to accrue wealth for themselves. An online multiplayer mode is included, allowing up to sixteen players to engage in both co-operative and competitive gameplay in a recreation of the single-player setting.